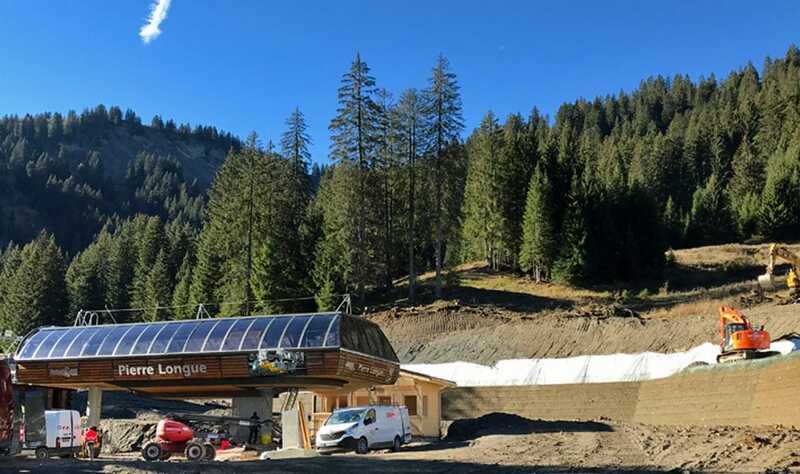 Since August, workers in Châtel have been hard at work getting the new Pierre Longue lift finished. The new lift is a 6-person detachable chairlift capable of transporting 3,000 people per hour. After first placing the pillars and running the cable across them, they are now busily working to finish everything around it and they will soon be attaching the chairs to the cable. Once that is done, it will still take just under a month to complete testing before the lift is completely ready for operation on the 22nd of December. In addition, they have already started working in Avoriaz on preparations for two new lifts that will be built next year. 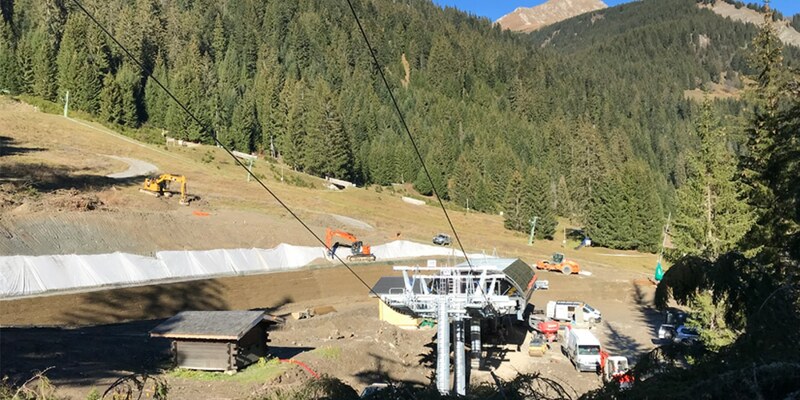 These new lifts will ascend one after the other from Lindarets to the Swiss border and will relieve the long waiting times on the Mossettes-France lift during busy times. In Les Crosets, they have built a large water basin in order to make more artificial snow. Quite a few slopes are located there beneath the Pointe de Mossettes on the southern slopes that often experience inadequate snowfall, which will now hopefully be a thing of the past.